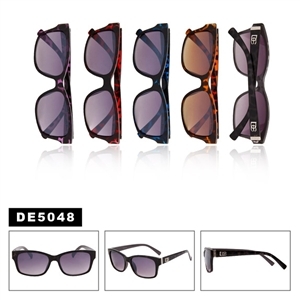 The brand that will change your look is none other than DKNY Sunglasses. It is a brand, which represents New York City. The brand produces designer sunglasses, which you would love to wear because of the various shades available. The shapes and frames of the glasses are equally creative to give any dull outfit a cool and vivid look. 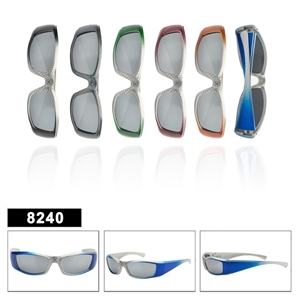 You can change your whole look and personality by just wearing a pair of these attractive sunglasses. There are two tips that need to be considered when choosing your sunglasses from DNKY. The first tip is that you should choose the shade that goes well with your complexion or that is contrasting to your skin tone. For example, if you are fare then you can go for dark shades as well as the light shade, but if you are of darker complexion then darker shades would suit you better. The Idea behind this is to blend the color of the sunglass with your skin tone to give it a naturally attractive look and not completely alienate the sunglasses from your natural look. The second tip is to see that the brand’s sign should be embossed on the arms of the glasses and on the inside. This would ensure that you are buying a genuine pair of glasses. And now it is a lot easier to get your own pair of sunglasses, they are now available online and they are also available from wholesale sources. WholesaleSunglassUSA is a supplier of wholesale replica sunglasses that are similar in style and feel to that of the designer brands. One thing to keep in mind is our sunglasses don't have any markings or logos of the designers and are completely legal to sell. 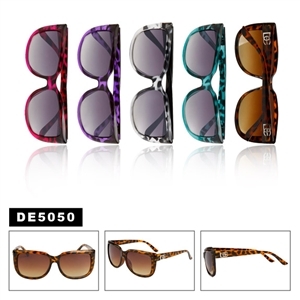 Once you are done looking at this category you will want to be sure to look at the inspired by Dolce & Gabbana sunglasses.